Bismuth Sub-salicylate is a drug used to treat temporary discomforts of the stomach and gastrointestinal tract such as diarrhea, indigestion, heartburn and nausea. Commonly known as pink bismuth, it is the active ingredient in medications such as Pepto-Bismol and Kaopectate. Bismuth subsalicylate is in a class of medications called antidiarrheal agents. It works by decreasing the flow of fluids and electrolytes into the bowel, reduces inflammation within the intestine, and may kill the organisms that can cause diarrhea. But, in the gastrointestinal tract, Bismuth Sub-salicylate is converted to salicylic acid (aspirin) and insoluble bismuth salts. There are adverse effects with this drug, most prominently; Reye’s Syndrome. It can also cause a black tongue and black stools in some users of the drug, when it combines with trace amounts of sulfur in saliva and the colon to form bismuth sulfide. Bismuth sulfide is a highly insoluble black salt, and the discoloration seen is temporary and and supposedly harmless. Children should not take medication with bismuth subsalicylate because epidemiologic evidence points to an association between the use of salicylate-containing medications during viral infections and the onset of Reye’s Syndrome. Never give a child under the age of 19 any product with aspirin when suffering from flu symptoms or a viral infection, including products like Pepto-Bismol or Kaopectate! For the same reason, it is recommended that nursing mothers not use medication containing bismuth subsalicylate like Pepto-Bismol because small amounts of the medication are excreted in breast milk and pose a risk of triggering Reye’s Syndrome to nursing children. 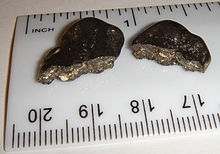 Bismuth subsalicylate is the only active ingredient in an over the counter Drug that can leave a shiny metal oxide slag behind after being completely burnt with a blow torch. — tell your doctor or pharmacist if you are allergic to salicylate pain relievers such as aspirin, choline magnesium trisalicylate, choline salicylate (Arthropan), diflunisal (Dolobid), magnesium salicylate (Doan’s, others), and salsalate (Argesic, Disalcid, Salgesic); or any other medication. — tell your doctor and pharmacist what prescription and nonprescription medications, vitamins, nutritional supplements, and herbal products you are taking or plan to take. Be sure to talk to your doctor or pharmacist about taking bismuth subsalicylate if you take: anticoagulants (‘blood thinners’) such as warfarin (Coumadin); a daily aspirin; or medication for diabetes, arthritis or gout. — if you are taking tetracycline antibiotics such as demeclocycline (Declomycin), doxycycline (Doryx, Vibramycin), minocycline (Dynacin, Minocin), and tetracycline (Sumycin), take them at least 1 hour before or 3 hours after taking bismuth subsalicylate. — ask your doctor before taking this medication if you have ever had an ulcer, bleeding problem, stools that are bloody or blackened, or kidney disease. Also ask your doctor before taking bismuth subsalicylate if you have a fever or mucus in your stool. We never recommend giving bismuth subsalicylate to a child or teenager, but if you do, be sure to tell the child’s doctor if the child has any of the following symptoms before he or she receives the medication: vomiting, listlessness, drowsiness, confusion, aggression, seizures, yellowing of the skin or eyes, weakness, or flu-like symptoms. Also tell the child’s doctor if the child has not been drinking normally, has had excessive vomiting or diarrhea, or appears dehydrated. — ask your doctor about taking this medication if you are pregnant or are breast-feeding. You can get a complete list of medications containing bismuth subsalicylate by clicking this link. Please think twice, and read the label warnings, before giving a child under the age of 19 any drugs that contain aspirin, salicylates, or bismuth-subsalicylate! You can get a list of ‘other names for aspirin’ here. And always remember: Kids and Aspirin Products DON’T Mix! Recreational water illnesses (RWIs) are caused by germs spread by swallowing, breathing in mists or aerosols of, or having contact with contaminated water in swimming pools, hot tubs/spas, interactive fountains, lakes, rivers, or oceans. RWIs can also be caused by chemicals in the water or chemicals that evaporate from the water and trigger indoor air quality problems. In addition to illnesses, injuries — such as drowning and slips, trips, and falls — can occur in or around the water. A new CDC study found that swimmers frequently bring poop into the water. This can happen when swimmers do not shower with soap before they start swimming or when they have a diarrheal incident in the pool. Poop might contain germs, which can be swallowed by others in the water and make them sick. Remember, you share the water you swim in with everyone who enters the pool, and contrary to popular belief, chlorine and other disinfectants do not kill germs instantly. Once germs get into the pool, it can take anywhere from minutes to days for chlorine to kill them. Before they are killed, these germs can cause RWIs, such as gastrointestinal, skin, ear, respiratory, eye, neurologic, and wound infections. The most commonly reported RWI is diarrhea caused by germs such as Crypto (short for Cryptosporidium), Giardia, Shigella, norovirus and E. coli O157:H7. Swallowing just a little water that contains these germs can make you sick. With the number of RWI outbreaks on the rise, swimmers need to take an active role in helping to protect themselves and prevent the spread of germs. The simple steps below can help you protect yourself and other swimmers from germs in the water you swim in. Keep the poop, germs, and pee out of the water. Don’t swim when you have diarrhea. Shower with soap before you start swimming. Take a rinse shower before you get back into the water. Take bathroom breaks every 60 minutes. Wash your hands after using the toilet or changing diapers. Drowning is the leading cause of injury death among children 1–4 years old. Every day, 10 people die from drowning; 2 of those 10 are children under the age of 15 years. Of drowning victims who survive and are treated in emergency departments, more than half are hospitalized or transferred for further care. These individuals often experience brain damage, which can cause memory problems, learning disabilities, or permanent loss of basic functioning (or permanent vegetative state). Everyone (adults and children) should know how to swim. 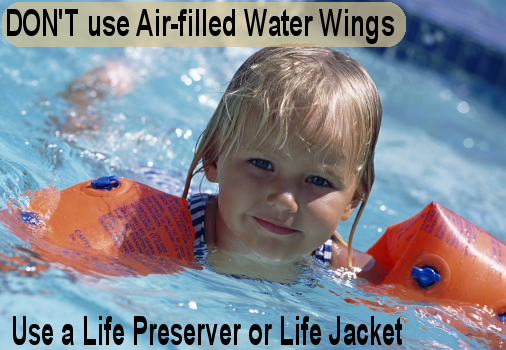 All boaters and weaker swimmers should use lifejackets. Backyard swimming pools should be separated from the house and yard by a fence with a self-closing and self-latching gate. Here: https://reyessyndrome.wordpress.com/category/kids-and/kids-and-sunscreen/ is some good sunscreen information – all products are chemical and salicylate free. And remember: Never give a child aspirin, or aspirin products under the age of 19 for relief of sunburn – you could trigger Reye’s Syndrome – a deadly disease. Children under the age of 19 should never be given aspirin without a doctor’s orders. If you take medicines, ask your health care professional about sun-care precautions; some medications may increase sun sensitivity. We’ve created a great list of sunscreens that are salicylate (aspirin) and harmful chemical free. Many use organic ingredients, and we’ve chosen the best of the best. You can download the list by clicking here. We caution you to always check the ingredients because manufacturers often make changes! You’re at the beach, slathered in sunscreen. Your 5-month-old baby is there, too. Should you put sunscreen on her? 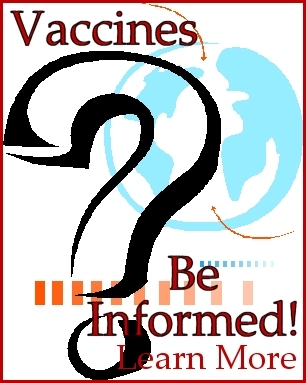 Not usually, according to Hari Cheryl Sachs, M.D., a pediatrician at the Food and Drug Administration (FDA). What makes babies so different? For one thing, babies’ skin is much thinner than that of adults, and it absorbs the active, chemical ingredients in sunscreen more easily. For another, infants have a high surface-area to body-weight ratio compared to older children and adults. Both these factors mean that an infant’s exposure to the chemicals in sunscreens is much greater, increasing the risk of allergic reaction or inflammation. The best protection is to keep your baby in the shade, if possible. If there is no natural shade, create your own with an umbrella or the canopy of the stroller. If there’s no way to keep an infant out of the sun, you can apply a small amount of sunscreen-with a sun protection factor (SPF) of at least 15-to small areas such as the cheeks and back of the hands. Test your baby’s sensitivity to sunscreen by first trying a small amount on the inner wrist. Dress infants in lightweight long pants, long-sleeved shirts, and brimmed hats that shade the neck to prevent sunburn. Tight weaves are better than loose. Keep in mind that while baseball caps are cute, they don’t shade the neck and ears, sensitive areas for a baby. Summer’s heat presents other challenges for babies. Younger infants also don’t sweat like we do. Sweat naturally cools the rest of us down when we’re hot, but babies haven’t yet fully developed that built-in heating-and-cooling system. So you want to make sure your baby doesn’t get overheated. In the heat, babies are also at greater risk of becoming dehydrated. To make sure they’re adequately hydrated, offer them their usual feeding of breast milk or formula. The water content in both will help keep them well hydrated. A small of amount water in between these feedings is also okay. 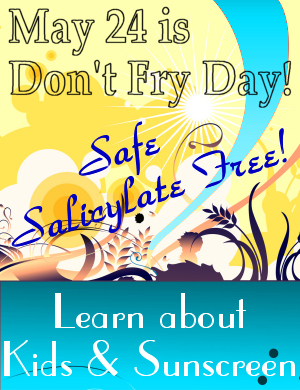 May 24 is Don’t Fry Day! Sun safety is never out of season. Summer’s arrival means it’s time for picnics, trips to the pool and beach—and a spike in the number of sunburns. But winter skiers and fall hikers should be as wary of the sun’s rays as swimmers. People who work outdoors need to take precautions, too. The need for sun safety has become clearer over the past 30 years. Studies show that exposure to the sun can cause skin cancer. Harmful rays from the sun—and from sunlamps and tanning beds—may also cause eye problems, weaken your immune system, and give you skin spots, wrinkles, or “leathery” skin. Sun damage to the body is caused by invisible ultraviolet (UV) radiation. People recognize sunburn as a type of skin damage caused by the sun. Tanning is also a sign of the skin reacting to potentially damaging UV radiation by producing additional pigmentation that provides it with some—but often not enough—protection against sunburn. To remind everyone to protect their skin and health while enjoying the outdoors, the National Council on Skin Cancer Prevention (NCSCP) has designated May 25, 2012 as “Don’t Fry Day.” The Food and Drug Administration (FDA) and Environmental Protection Agency, advisory members of the council, are helping spread the word on sun safety. Learn more about sun safety for your family in our Kids and Sunscreen blog area. Download a free list of salicylate free, and chemical free sunscreens by clicking here. And remember, never give a child under the age of 19 aspirin or aspirin products for sunburn pain, or for any pain, fever, or illness. You could trigger a deadly disease known as Reye’s Syndrome. Comments Off on May 24 is Don’t Fry Day! Most pediatric clinical trials involve a relatively small number of patients, and problems might not be detected until the products are in widespread use. And a drug or device might be studied in one pediatric age group, but prescribed and used in another age group in which it has not been studied, the FDA states. Consumers can play a critical role in helping the Food and Drug Administration (FDA) assure children’s access to safe medical products. Reporting to FDA such “adverse events” as unexpected, serious side effects, accidental exposure, and product quality issues can prompt the agency to act—and it can also bring new pediatric safety information to light. In 2012, FDA received nearly 900,000 adverse event and medication error reports, but only 5 percent were associated with children under 18 years of age. Either parents or caregivers don’t know that they can report adverse effects to the FDA, or they don’t know how. In 2007, the agency began receiving consumer accounts of serious side effects in children who were accidentally exposed to prescription topical testosterone gel products through contact with the skin of an adult male in their household who was using these products. This information triggered an FDA investigation that resulted in stronger warning labels to alert the public. FDA also worked with testosterone gel product manufacturers to create potentially safer versions and to identify places on the body where the gel could be applied so that it is less likely to come into contact with children. These reports from consumers made a big difference. the FDA found it extremely rewarding to work with those families who suspected that something might be going wrong and contacted FDA to investigate the situation. The FDA wants to prevent these harmful situations from happening to others and ensure medical products are safe for everyone to use. Many adverse event reports do not include relevant information, such as the patient’s age, which can delay the identification of serious problems in children. Contact information for the person submitting the report and for the child’s health care professional. Consumers often have the most details about what they are experiencing and should contact their health care provider for medical care, and then report the problem to the FDA. FDA’s Pediatric Advisory Committee, a group of outside experts, meets two to three times a year to review adverse events for products recently labeled for use in children. Reviews for 215 products have been presented to the committee through September 2012. OPT maintains a Safety Reporting Page with information on products that the advisory committee has evaluated. Consumers should report serious side effects or product quality problems to FDA’s MedWatch: The FDA Safety Information and Adverse Event Reporting program. You will receive an acknowledgement from FDA when your report is received. Reports are reviewed by FDA staff. You will be personally contacted only if we need additional information. What is a Serious Adverse Event? Report if you suspect that the death was an outcome of the adverse event, and include the date if known. Report if suspected that the patient was at substantial risk of dying at the time of the adverse event, or use or continued use of the device or other medical product might have resulted in the death of the patient. Report if admission to the hospital or prolongation of hospitalization was a result of the adverse event. Emergency room visits that do not result in admission to the hospital should be evaluated for one of the other serious outcomes (e.g., life-threatening; required intervention to prevent permanent impairment or damage; other serious medically important event). Report if the adverse event resulted in a substantial disruption of a person’s ability to conduct normal life functions, i.e., the adverse event resulted in a significant, persistent or permanent change, impairment, damage or disruption in the patient’s body function/structure, physical activities and/or quality of life. Report if you suspect that exposure to a medical product prior to conception or during pregnancy may have resulted in an adverse outcome in the child. Report if you believe that medical or surgical intervention was necessary to preclude permanent impairment of a body function, or prevent permanent damage to a body structure, either situation suspected to be due to the use of a medical product. 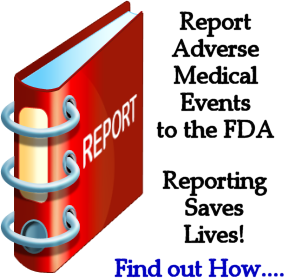 Report when the event does not fit the other outcomes, but the event may jeopardize the patient and may require medical or surgical intervention (treatment) to prevent one of the other outcomes. Examples include allergic brochospasm (a serious problem with breathing) requiring treatment in an emergency room, serious blood dyscrasias (blood disorders) or seizures/convulsions that do not result in hospitalization. The development of drug dependence or drug abuse would also be examples of important medical events. 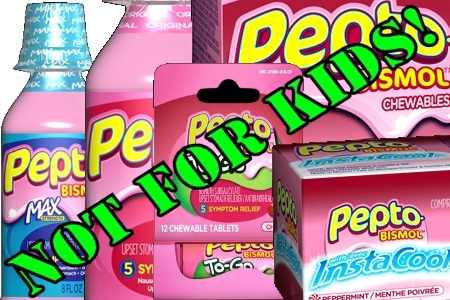 Kids and OTC Medicines Kids Should NOT Take! In a recent poll conducted by University of Michigan C.S. Mott Children’s Hospital, 40 percent of parents are giving children under the age of 4 over the counter cold medicines, even after the FDA issued a warning that OTC medicines should not be used in this age group. Twenty Five percent of these parents gave their child decongestants! 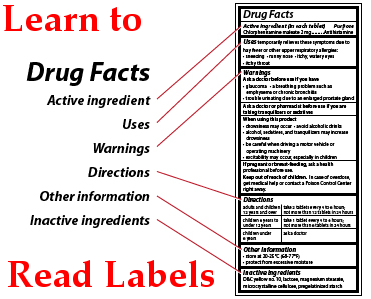 Manufacturers of OTC cold medicines changed their warning labels in 2008 to reflect the dangers of giving these medicines to young children, Six years of age and under. One of the problems is that the medicines themselves are still labeled “Children’s” medication, and just like the issue with “Baby” aspirin, parents don’t think to read the label and they assume the product is safe for all children when in fact, it is not. “Products like these may work for adults, and parents think it could help their children as well. But what’s good for adults is not always good for children,” says Dr Matthew Davis, Director of the C.S. Mott Children’s Hospital National Poll on Children’s Health. How much to give; Medication doses for infants and young children are based on age and weight. Know your child’s weight. Follow the directions for age and weight. If the recommended age is not your child’s age, don’t give the medicine. If no dose is given on the bottle or package for children under 12 years old, ask your doctor or pharmacist if it is OK to give the medicine to your child, how much you should give, and when you should give it. Liquid medicines usually come with a cup, spoon or syringe to help measure the right dose. Always use these devices to give medicine to infants and very young children. Using a kitchen teaspoon is not an accurate way to measure. A teaspoon is usually considered to be 5 cc or 5 mL, but kitchen teaspoons can vary in size from between 2 mL and 10 mL. If you want to mix medicine with milk or formula, first put the medicine in one ounce of milk and have the child drink it all. Then feed the remaining formula or milk in the bottle and let them finish however much more they want. Always measure or give medication with a good light turned on. Insufficient light could cause you to give the wrong medicine or the wrong dose. Never let young children take medicine by themselves. How often to give Medicines; Some medicines state every 6 hours, or every 8 hours. Does this mean ‘waking’ hours; hours when the child is awake, or actual hours as around the clock? Ask your Pharmacist this question so you know exactly when to give your child the medicine. Then keep track of the times you give the medicine to your child on a chart tapped to your refridgerator, or the location the medication is stored. What the drug contains – Be certain you are not double dosing your child! Many OTC cough and cold medicines contain a combination of ingredients to treat several symptoms. Your child might be getting some of the same ingredients in other medicines. For example, Tylenol and Nyquil contain the same ingredient, acetaminophen. Be sure to read the list of active ingredients (the ingredients that make the medicine work) for each OTC medicine you give your child to make sure he or she is not getting a double dose of the same medication. You need to make sure that the total amount of a medicine does not exceed the recommended dose. Combinations of medicines found in multi-symptom medicines may cause side effects in children. The combination of antihistamines and decongestants in some “cold remedy” medicines can have side effects such as hyperactivity, sleeplessness and irritability in children. To be safe, don’t combine prescriptions, supplements or multi-symptom medicines without checking with your health care provider or pharmacist. Sometimes the ingredients for a medicine change but the name stays the same. For example, the formulation of Kaopectate, an OTC medicine for diarrhea, changed so it now contains bismuth subsalicylate. The older versions contained only kaolin and pectin. (Bismuth subsalicylate is also found in Pepto-Bismol, an OTC medicine for upset stomach and diarrhea.) Bismuth subsalicylate is NOT recommended for children younger than 19 because of the risk of the rare but deadly condition; Reye’s Syndrome. Be sure to take into consideration the concentrations of ingredients when you determine the amount you give your child. Medicines with the same brand name can be sold in different strengths, including infant, children and adult formulas. Infant drops of some medicines, for example, are stronger than the liquid elixir of the same medicine for toddlers or children. This is because infants may not be able to drink a large volume of medicine to give their proper dosage. Don’t make the mistake of giving higher doses of the infant drops to a toddler thinking the drops are not as strong. Warnings about using the drug: Always Read the ‘Black Box’ – the warnings box! If the drug is safe for children of certain ages: If your child’s age is not listed, do not use the product. One exception to age, is the Reye’s Syndrome warning on labels: The National Reye’s Syndrome Foundation collects Case Reports of Reye’s Syndrome and has found that Reye’s predominately attacks children up to the age of 19, whereas the FDA label only states age 12. Don’t use aspirin or aspirin containing products in children under the age of 19. And if you are not sure – Ask the Pharmacist at the store. They will be happy to help you! Talk to your doctor, pharmacist, or nurse to find out what mixes well and what doesn’t. Medicines, vitamins, supplements, foods and beverages don’t always mix well with one another. Select products with the fewest number of ingredients needed to treat your symptoms. Talk to your Doctor or Pharmacist before giving a child a ‘home remedy’, or homeopathic drug found on the Internet! Many of these are quite harmful, and have no professional approval to use. Know what you are giving your child, otherwise, it could be deadly! Don’t call medications “candy.” If children come upon medications at a later time, they may consider it “candy” and eat it without your knowing. Always use child-resistant caps and store medicines in a safe place. Relock the cap after each use. Be especially careful with any products that contain iron; they are the leading cause of poisoning deaths in young children. All medications become less effective (expire) over time and should be replaced. Check the expiration date before using any product. Store medicines in a cool, dry area. The heat from kitchens and the moisture from bathrooms decrease the effectiveness of medications. Store all medications out of the reach of children. Before you give a medicine, check the outside packaging for damage such as cuts, slices, or tears; check the label on the inside package to be sure you have the right medicine. Make sure the lid and seal are not broken. Check the color, shape, size and smell of the medicine. If you notice anything different or unusual, talk to a pharmacist or your health care provider. Use a chart to keep track of dosage dates and times. 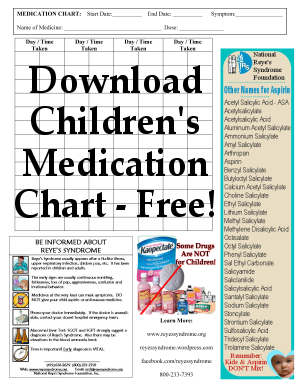 A Free Chart can be downloaded by clicking here. Use caution with different forms of these drugs, because some are more concentrated than others. Common analgesics for infants and children are acetaminophen (Tylenol) and ibuprofen (Advil and Motrin). DO NOT give aspirin to children younger than 19, because it can cause a rare but deadly disease called Reye’s Syndrome. DO NOT use ibuprofen in children younger than 6 months. Know how much your child weighs before giving ibuprofen. Antihistamines treat runny noses, itchy eyes and sneezing caused by allergies (but not colds). Some can cause sleepiness. Examples of antihistamines include brompheniramine (often in combination with decongestants such as phenylephrine as in Dimetapp and other medicines); chlorpheniramine (Chlor-Trimeton and other medicines); diphenhydramine (Benadryl and other medicines); cetrizine (Zyrtec); and loratadine (Claritin and other medicines). These are not recommended for children younger than 6, because they can even affect learning. Use only with your health care provider’s advice in young infants or children with asthma. Expectorants and combination cough medications may help loosen mucus. Cough suppressants numb the reflex to cough. Coughing is necessary to clear mucus and debris bacteria from the lungs, so check with your child’s health care provider before using cough-suppressing syrups. Guaifenesin, an expectorant, promotes the production of thin mucus that is more easily removed by coughing. These are not recomended for children under the age of 6. Decongestants can relieve stuffiness caused by allergies or colds by temporarily shrinking the membranes in the nose to make breathing easier. They should not be used for more than two to three consecutive days. Decongestants taken by mouth can have a number of side effects such as irritability, sleeplessness, dizziness. Examples of decongestants include phenylephrine (found in Neo-Synephrine nose drops and other medicines); and pseudoephedrine (Sudafed, PediaCare Infant Decongestant Drops and other medicines). These are not recommended for children under the age of 6. Medicines for diarrhea. These are usually not necessary. Instead, give your child plenty of fluids and let the disease run its course. Diarrhea, however, can be dangerous in newborns and infants. In small children, severe diarrhea lasting just a day or two can lead to dehydration. Because a child can die from dehydration within a few days, you should see a health care provider as soon as possible if an infant has diarrhea. Talk to your provider before giving these medicines to infants or children. 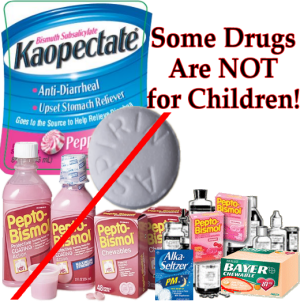 Diarrhea medicines containing bismuth subsalicylate (Pepto-Bismol, Kaopectate, and other medicines) should NOT be given to a child younger than 19, as these could trigger Reye’s Syndrome, a deadly disease in children. Loperamide (Imodium and other medicines), should NOT be given to a child younger than 6. Laxatives relieve constipation and work by several methods. Some add fiber or water to stool to make it more bulky and easier for intestines to eliminate it; some coat the surface of the stool to make it more slippery; some soften the stool so it passes more easily; and others cause the intestines to contract more forcefully. Examples of laxatives include glycerin suppositories; magnesium citrate; magnesium hydroxide (Milk of Magnesia and other medicines); mineral oil (Agoral, Kondremul and other medicines); psyllium (Metamucil, Fiberall and other medicines); senna (Senokot, Ex-Lax and other medicines); methylcellulose (Citrucel and others), castor oil, and sodium phosphate (Fleet and other medicines). DO NOT give infants or children laxatives without talking to your child’s health care provider. Aside from drugs for fever or pain, most over-the-counter products haven’t actually been studied in children for effectiveness, safety, or dosing. When you give medicine to your child, be sure you’re giving the right medicine and the right amount. Read and follow the label directions. Use the correct dosing device. If the label says two teaspoons and you’re using a dosing cup with ounces only, don’t guess. Get the proper measuring device. Don’t substitute another item, such as a kitchen spoon. Talk to your doctor, pharmacist, or other health care provider before giving two medicines at the same time. That way, you can avoid a possible overdose or an unwanted interaction. Follow age and weight limit recommendations. If the label says don’t give to children under a certain age or weight, don’t do it. 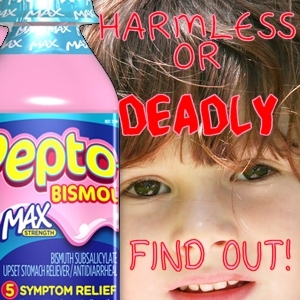 Comments Off on Kids and OTC Medicines Kids Should NOT Take!